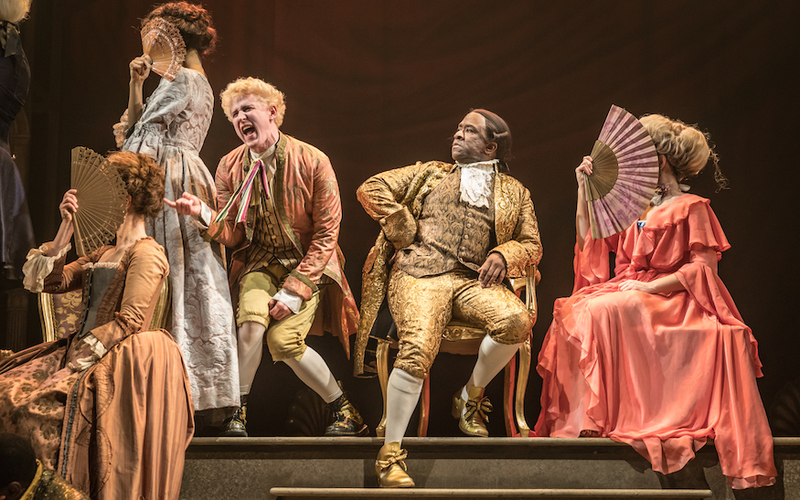 Adam Gillen as Wolfgang Mozart and Lucian Msamati as Antonio Salieri in Amadeus at the National Theatre (c) Marc Brenner. Peter Shaffer’s 1979 play, Amadeus, explores the rivalry between the genius Mozart and the inferior Antonio Salieri in 1780s Vienna. In reality, Salieri was an immensely talented composer in his own right, but this hardly matters. Shaffer always maintained he was telling a story, and an excellent one it is too, as it makes the themes of jealousy and mediocrity feel highly relatable. 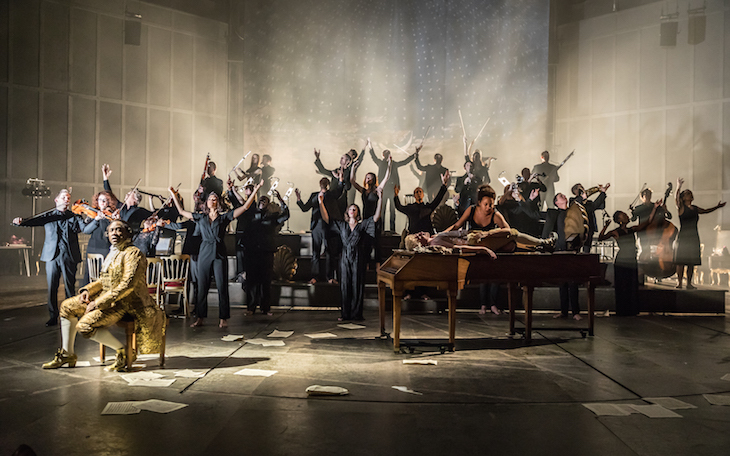 Salieri addresses a modern day audience, but Michael Longhurst’s production, which first appeared at the National in 2016, further blurs the line between the 18th and 21st centuries by having the live orchestra (the Southbank Sinfonia) wear modern clothes and play Mozart’s Symphony No. 25 with a ‘techno’ beat. For this reason, it may not please the purists as the focus can be on generating laughs and being overtly entertaining. Adam Gillen similarly pushes the idea of Mozart as the ‘rude boy’ genius to extremes, although Lucian Msamati’s Salieri certainly helps to penetrate the psychology of the piece. With the entire set advancing as Mozart’s Great Mass in C minor is sung, the audience is able to share in Salieri’s feeling of being overwhelmed by its beauty. We would recommend Amadeus, but we would also encourage you to try Salieri’s music (Bampton Classical Opera sometimes performs it), if only to prove just what a great work of fiction the play really is! Amadeus, National Theatre, South Bank, SE1 9PX, £15-67. Until 24 April 2018.